I spent the first few years of my academic career as a young assistant professor in hell. It wasn’t the publish or perish kind of hell faculty experience at the big Division 1 Universities, but an overwhelming organization and planning kind of hell of being required to teach up to 15 different courses over the course of one academic year, some of which I would not even have considered myself to even be an “expert” in because I may have never even taken a similar course throughout my academic career as a student. Those first few years were absolute insanity. I knew a lot, but to be able to convey it in a way that made learning sense, create practical applications, experiential learning models, assessments that actually measured something meaningful; not to mention the sheer amount of just lecture preparation. I don’t have any other word for it. It was hell. But it got better. I would say by the end of year 3, I had a much better handle on the content, the course infrastructure, creating a full-proof syllabus that savvy students couldn’t shoot holes through, and I was beginning to wrap my head around how students learn best. Which teaching methods were beneficial…and which ones were not. What the students responded to, and what they didn’t see as valuable. I suppose I would say my teaching matured, or became more real. Part of what drove that was the realization that I didn’t have to know everything and that guess what? Students can actually learn without me and from one another without me being the primary source of that information. In fact, with me guiding the learning process instead of controlling it, learners can actually learn more. One of my favorite quotes from one of my favorite book series sums it up nicely: “It’s the questions we can’t answer that teach us the most. They teach us how to think. If you give a man an answer, all he gains is a little fact. But give him a question and he’ll look for his own answers. That way, when he finds the answers, they’ll be precious to him. The harder the question, the harder we hunt. The harder we hunt, the more we learn.”/The Wise Man’s Fear by Patrick Rothfuss. When it comes to learners actually learning something and valuing it, this is spot on. 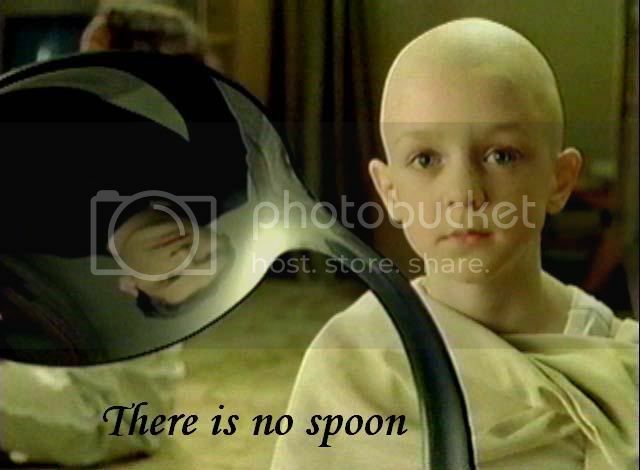 I often also use a quote from “The Matrix” as well when explaining this concept to my students, “It’s the question that drives us Neo”. Not the answers. It’s the quest, the journey, the search. That is what is important. Unfortunately our entire education system is built around knowing the answers, not around asking better questions. And this is where we fail. We don’t inspire curiosity or search and discovery, we inspire test anxiety and an outcome driven approach. We build widgets instead of free and curious thinkers. Now the truth is, I would have never been able to think through some of this without those first few years of hell. Those years forged me into adopting an instructional model of constantly evaluating and re-evaluating education and learning theory and incorporating new and progressive ideas around learning into my classroom. Since then, I have been able to build on what was definitely a flawed core in the development of my classes and refine and improve, refine and improve. Will there always be room to improve my teaching methodologies, yes. But ultimately, my job is to inspire curiosity, not to spoon feed “answers” to my students. It’s a tough transition for many of them since they have come to expect someone will just tell them the answers. That’s a lot easier than having to forge your own learning path…to become intrinsically motivated to learn when the system focuses on extrinsic methods of reward. My job is to provide them as many opportunities as I can for them to do just that, forge their own path and take responsibility for their own learning. My role in their journey is to guide them and facilitate the process of their forging their own path, not necessarily following mine. I refuse to let them take the blue pill.